Nicklaus Design has 33 courses spread across 28 different properties in the Sunshine State. In Golf Digest’s 2015 list of the Top Public Courses in Florida, there were nine Nicklaus Design courses to reign supreme. PGA National Resort & Spa (Champion Course) was named No. 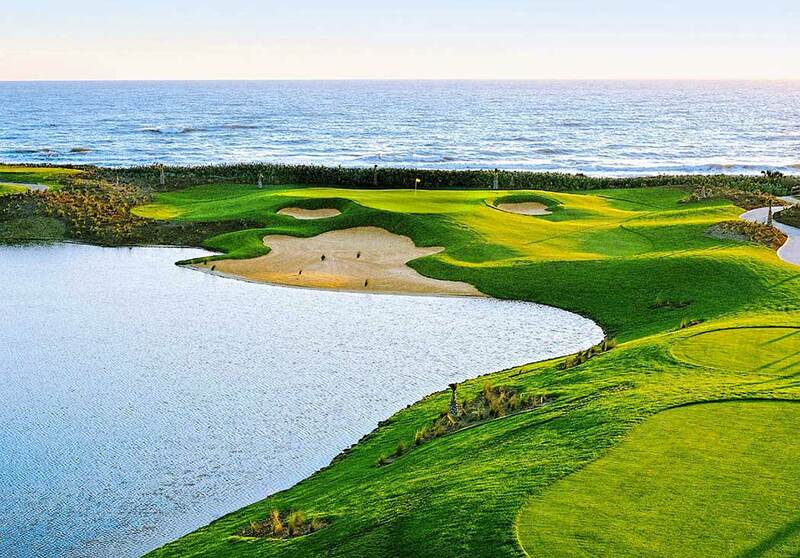 5 out of 75 courses, while the Ocean Course at Hammock Beach Resort ranked No. 11. King & Bear in St. Augustine rounded out the first third of the list at No. 23. Grand Cypress Resort (New) in Orlando ranked No. 33 with Old Corkscrew in Estero ranking closely behind at No. 37. Grand Cypress Resort (North/East/South) was T39, and nearby Reunion Resort ranked No. 47. Bay Point Resort in Panama City beach was T58. North Palm Beach Country Club, located in the same town at the world headquarters of Nicklaus Design, ranked T60. For a full list of Nicklaus Design courses, visit nicklaus.com/design.